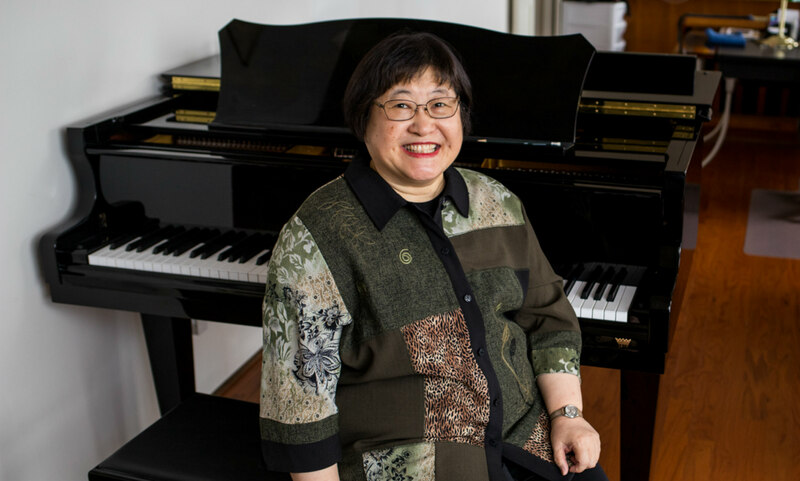 Chen Yi, Lorena Searcy Cravens/Millsap/Missouri Distinguished Professor of Composition at the University of Missouri-Kansas City, will be inducted into the American Academy of Arts and Letters. Chen is one of 11 new members who will be inducted in May. The American Academy of Arts and Letters was founded in 1898 as an honor society of the country’s leading architects, artists, composers and writers. Members have included Theodore Roosevelt, John Singer Sargent and Mark Twain, and currently Henry Louis Gates Jr., Maya Lin, Frank Gehry, Tony Kushner, Calvin Trillin and Joyce Carol Oates. The Academy’s 250 members are elected for life. Born in China, Chen received bachelor’s and master’s degrees from the Central Conservatory in Beijing, and the Doctor of Musical Arts degree from Columbia University in New York. Chen began playing the piano at age three and the violin when she was four. She was the first woman to receive a M.A. in music composition from the Central Conservatory of Music in Beijing. Chen went on to serve as Composer in Residence of the Women’s Philharmonic, the vocal ensemble Chanticleer, and Aptos Creative in San Francisco, supported by the Meet The Composer’s New Residences program. At the end of her three-year residency, she became the first woman in the United States to give a whole evening of multimedia concert with her symphonic and choral works in 1996. She has received fellowships and commissioning awards from the Guggenheim Foundation (1996), Fromm Foundation at Harvard University (1994), Koussevitzky Music Foundation at the Library of Congress (1997), and National Endowment for the Arts (1994). She was a Pulitzer Prize finalist with Si Ji for orchestra in 2006. Chen joined UMKC in 1998 and is dedicated to inspiring students.